Using Video Games to Cope With Depression | Nerd Much? I can’t pinpoint when I started having anxiety/depression, but I’ve been struggling with it for about 2-3 years. While cynics will say “everyone seems to have something these days,” I do not believe our mental health is decreasing; rather, we are finally talking about these issues more openly. When we talk about mental health, self-care often comes up. To put it simply, self-care is about making yourself a priority so that you are healthy physically, mentally, and emotionally. Everyone’s self-care looks differently, but I’d like to offer gaming as a form of self-care — one you may have been overlooking. My situation is unique: not all gamers struggle with mental health and not all of those struggling with anxiety/depression experience it the way I do. 1. Video Games Can Be a Healthy Distraction. Among many things, video games are a form of entertainment. From Angry Birds to Assassin’s Creed, video games give us something to do. They keep us preoccupied, which can be comforting when you’re dealing with issues in your personal life or when your mind is working against you. Video games can take the focus off all those things, if only for a while. Hitting start on a video game can put everything else on pause and sometimes that’s just what you need. 2. Games Give You Challenges You Can Overcome. Every game presents a challenge, some are just more obvious than others. The most obvious challenges come from competitive play (ex: winning or losing a match in Overwatch) and linear platformers (ex: completing a level in Super Mario 3D World). But it’s not all about winning or losing; other challenges exist as well: from getting the highest score you can in Tetris to having a town you’re satisfied with in Animal Crossing. Regardless of what type of challenge appeals to you, games give you a sense of accomplishment. Some may consider this accomplishment to be trivial because it exists outside of the real world; I disagree. When we discuss praise, as a society, we often stress the importance of praising a person’s effort and not their inherent ability. Video games excel at this because rewards are given based on your concrete accomplishments. Digital perseverance can spill over into real life grit. Video games are a perfect example of implementing the Zone of Proximal Development (ZPD). 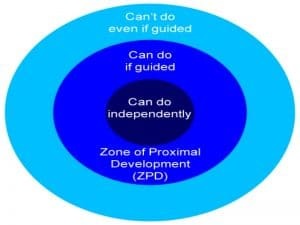 A concept developed by psychologist Lev Vygotsky, your Zone of Proximal Development is the area above what you can do but below what you can’t do. To put it plainly, it’s the sweet spot of rigor. So no matter how bad you’re feeling, know that you can always move forward in your video game life. Even on the days when I can barely get out of bed, I can flip open my 3DS and immediately engage with art. I’m transported to another world, one that can, at its worst, leave me with a sense of accomplishment and, at its best, immerse me in a story outside of myself. 3. Video Games Can Connect You With Others in Co-op or Competitive Play. People say the difference between an extrovert and an introvert is that extroverts are revitalized by time with others and introverts are revitalized by time alone. In reality, everyone needs both. Even though I’m an introvert, I often play co-op or competitive games with people to relieve stress. Having something else to focus on (the game) and having human interaction helps me take a step back from things and gain some perspective. As an added bonus, recurring gaming sessions with friends/family can add some structure to your life in the midst of (what can feel like) chaos. 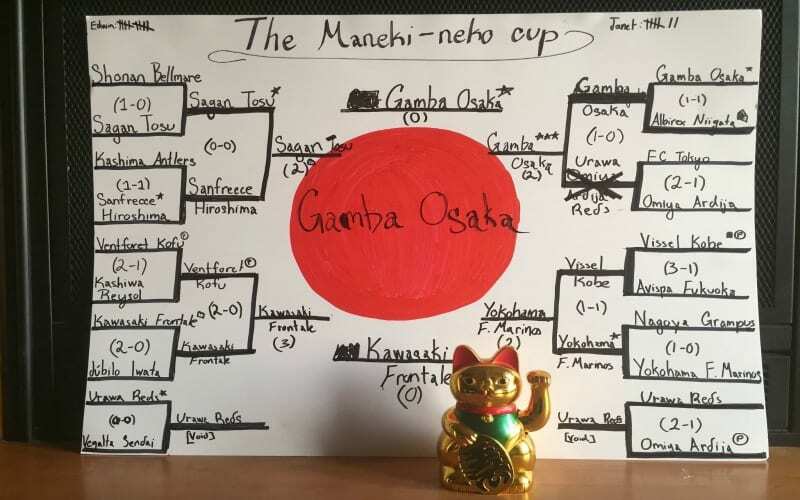 We played with teams from Japan’s soccer league (the J-League), listened to JPop, and — at the end — drank some Japanese beer. But even if you’re not quite on that level of nerd, you can benefit from gaming with others. For me, playing Overwatch or Forza Horizon 3 online with friends provides that same relief. Voice chat allowed me to catch up others and chat about both random stuff and personal issues — all of which helped clear my head. If you’re looking to avoid competition, co-operative play is another option. I completed Super Mario 3D World and Never Alone, both co-op style. And, I’m currently working my way through Yoshi’s Woolly World alongside my brother. In addition to the social benefits of co-operative play, it adds a lighthearted element to your gaming experience. It takes some of the sting out of failure because everyone is in this together and it amplifies success because celebrations are shared. The game is also, potentially, easier because co-op can mean all players need to die before you’re forced to restart from the beginning or more recent checkpoint. Lastly, bonus points to Yoshi’s Woolly World for being adorable: the ultimate stress reliever. 4. The Sympathy/Empathy Felt When Gaming Can Help You to Process Emotions at a Safe Distance. In many ways, video games are the ultimate exercise in empathy. You are the character. You are in the story. I felt this most recently with Journey and Severed. While I wasn’t a big fan of Journey’s gameplay (or lack thereof), the visuals were stunning. 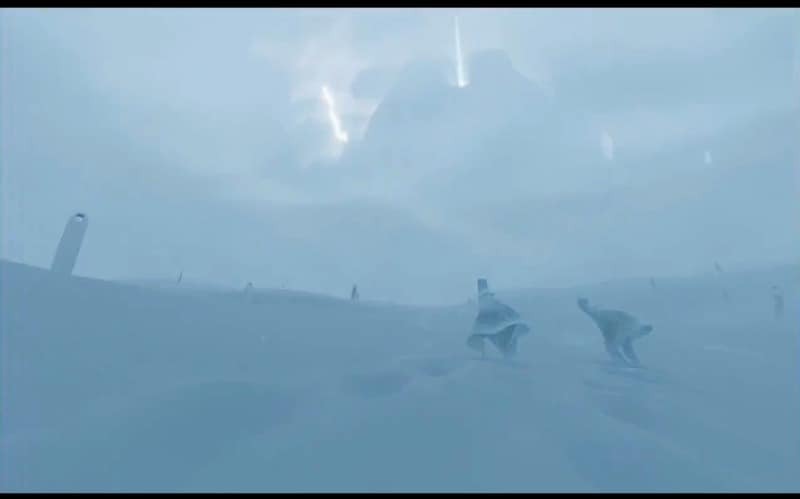 And, I found myself incredibly moved as I watched my character struggle through the snowstorm (towards the end of the game). Severed had a similar effect on me. I spent most of the game playing it just for the sake of finishing it. But when I reached the end, all of the pieces fell into place. I saw myself in Sasha (the lead character). As she reached the final boss, completing her external conflict, her internal conflict was clear. I watched her struggle to manage her emotions. I watched rage try and consume her. But when that final cut scene happened, I found comfort and acceptance. It remains one of the most powerful moments I’ve experienced as a gamer. 5. There’s a Certain Comfort/Joy That Comes From Playing an Old Favorite. There’s comfort in the familiar. 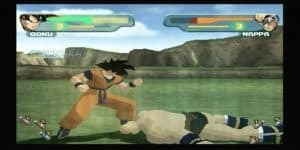 Replaying a game lets you experience that joy again and, if it’s a particularly old game, can reconnect you to fond memories from your past. For me, this always means that PS2/GameCube era I was so obsessed with. To this day, me and my brother’s blockbuster rental and the inevitable marathon session of Dragonball Z Budakai will live in infamy. So, when it’s hard to remember what happiness even feels like, sometimes it helps to link back to a time when you know you were. I believe, wholeheartedly, that the universe is a random place, but video games are a constant for me. I don’t know much about what the future holds, but I know I will be buying a Nintendo Switch. Sometimes I can’t shake the feeling that this is all pointless, so I load up a save file and remember I can make things happen. And on the days I can’t shake my depression, I clean my apartment for the third time and make a visual novel unfold. We have games about cancer and heart disease. We have games that reflect the mundane and games that offer the surreal. And in the ever-growing landscape of the video game industry, I can’t help but think all of it offers us some type of healing through connection — whether it’s a connection with the developers, connection with other players, or connection with our inner-selves. I don’t know if I’ll ever be free of mental health issues — it’s too soon to say anything — but behind a controller seems as good a place as any to wait out the storm.